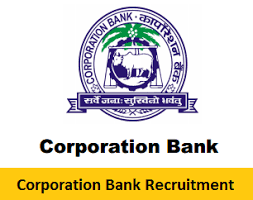 Corporation Bank 2018 Jobs Notification. Corporation Bank is inviting applications for the positions of Probationary Officer/Management Trainee. Interested and Eligible candidates can apply for the positions. i. Online Examination – Main - 18.11.2018.